Sometimes the firangi influence on us can get too boring and seem very unnatural. The way we express ourselves on social media reflects a lot of this western influence. Like OMG! – Its usage, nowadays, seems so redundant! I am sure you would agree with me on this – nothing can beat like the way we express in our own lingo. Expressions in that apna Punjabi slang or that Madrasi basha not only gives us a local feel and connect to our communication but also makes us bond culturally. Giving that desi touch to emotion expression on social media is Saveyra. It is India’s homegrown emoji, avatar and stickers app that celebrates our country’s cultural and linguistic diversity and presents imagery that is based on the cultural context of the user, rather than one imposed by outsiders. 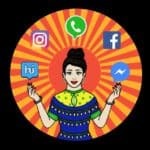 Saveyra has found success in its design by targeting a new generation of Indian youth, who like to express identity, emotions, and greetings with images or stickers, but certainly in an Indian way. 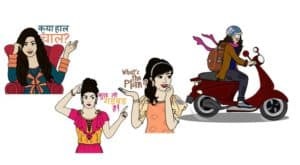 Sensing the right demand for such desi-based emojis and stickers, Manish Jha, Founder and Chairman of Silvermine Group spun out Saveyra through the group. He is currently the CEO of Saveyra. 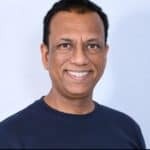 Interestingly, Jha has over two decades of experience in the media industry, with the last decade focusing on mobile. He began his career with ESPN as a Sales Analyst and worked his way up to Senior Vice President in a period of fifteen years. Jha has received numerous industry awards and accolades and is a valued advisor to entrepreneurs in California and around the world. In fact, Jha is one of those early veterans to get into live streaming of sports content. The question here is what would have made him ideate and develop an App for stickers and emojis? Why Saveyra? “Indians have carried India’s cultural and religious traditions throughout the world. We celebrate language, poetry, food, music, clothes and religious traditions no matter where we go. The use of colors and visual imagery based on Indian themes and traditions are missing in the various visual imagery apps developed outside of India. The Saveyra team sensed a market combining both a cultural and a business opportunity,” reveals Jha. Saveyra has three features: avatars, stickers, and keyboard. Avatar helps users create a digital representation of oneself, stickers celebrate themes that are timely and relevant and the keyboard enables quick and easy access to the content contained in the app. Any start-up business venture cannot take off without an exhaustive groundwork and scope for constant demand. The team at Saveyra did their due diligence by conducting extensive proprietary, qualitative and quantitative research on the propensity of India’s youth to adopt the value proposition that Saveyra has to offer. The team believed that if executed well, Saveyra would have a significant opportunity to be adopted and to be regularly used by a significant portion of India’s youth. And, they were not proved wrong! Jha says that his marketing team is a good assemble of employees with decades of digital marketing experience. The team uses a variety of social, influencer, search, retargeting, and other marketing techniques to promote Saveyra. Saveyra supports major communications platforms, including Facebook, Twitter, Instagram, What’s App and Hike. Jha says that his team works double time to ensure that Saveyra users can use the stickers in new platforms that are added all the time. The App ensures that users can seamlessly browse for emojis and stickers within the keyboard and share their customized user-created avatars. Apps of any kind are always on a sensitive edge, as the fear of uninstallations may outnumber the installations. But Saveyra’s team is on a mission to become the platform of choice among India’s youth for visual communications. But sustaining and yet being profitable is the key to success for any App. No magic bullet here; just a lot of elbow grease, admits Jha. He is ensuring that his team makes sure that Saveyra’s technology platform is doing all the things that they want it to do. A constant study of the users’ want is monitored and what the users do with their App is recorded. The analysis helps the team to modify and enhance the App from every discovery that the tech team finds. VoicenData would closely be tracking Saveyra to keep a tab on its developments. Saveyra’s future, according to Jha, looks at a horizon of expanding the team, sales, and user experiences. Saveyra’s sticker App finds success in its freemium selling model 0 out of 5 based on 0 ratings. 0 user reviews.